Every day when my Mom came home from work one thing was certain – she was going to watch her soap opera. Most of the time I watched it with her. She was a religious fan of “Guiding Light” for as long as I can remember being alive. She set the VCR every morning and hit play every afternoon. Usually I sat on the floor playing with my wrestling toys as she watched (my own personal soap opera I suppose). “Guiding Light” – like most soaps – was a pretty crazy show. There was your usual soapy drama – hookups, power plays, murder. My mom watched “Guiding Light” for as long as I can remember. She stuck around to the bitter end as aired its final episode in 2009. I have to admit, I grew pretty attached to the show too. But I think sometimes we make our lives too much like soap operas. I think there’s something deep down inside all of us which longs for an exciting, dramatic life. Believe me – I’m the #1 advocate for living out a great story with your life. I believe God created us to do so. Part of living a great story is creating inciting incidents. Basically, you have to invite a little chaos into your life to make a great story. Every story needs some dramatic scenes. Sometimes though we choose to bring the wrong kind of drama into our lives. Instead of seeking out the drama that comes from doing meaningful acts of justice or giving up our lives to serve others, we act like soap opera characters. We try to fill the need for drama in our lives by seeking out power, acting jealously, letting greed rule our hearts. This confuses our stories, setting us off track on an endless search for happiness in the wrong places. 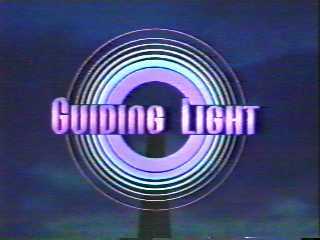 Our lives become like “Guiding Light” characters, reliving the same storylines day after day, never really moving forward until one day our show gets cancelled. Life doesn’t have to look like a soap opera to be entertaining. In fact, I think boring can be beautiful. Sometimes a great story is a simple one. Sometimes life doesn’t need a ton of drama to be an incredible story. Some of the most incredible stories out there are of people who simply get up each day, go to work, come home, and spend time with their family. Sometimes all it takes for a great story is a mom going to school to teach, coming home to watch her soap, and taking care of her son. You don’t have to fall into the darkness of a soap opera life. Choose the right type of drama for your story – the type of drama which comes from a life spent serving others out of love. Choose to walk in the light. Thanks, Alex! Yes, I guess you were always watching GL a little more closely than I thought! I had forgotten some of those storylines! Just like “real-life” some of the “stories” that we think are so dramatic and significant really end up meaning so little in the long run. I’m pretty glad to be in the boring category most of the time!! Thanks, Alex! I guess you were watching GL a little closer than I thought! ( I had forgotten some of those storylines – what a surprise!) But I guess “real-life” is much the same – so many things we think are so dramatic and significant at the time end up meaning so little in the long run. I’m just happy to be in the boring category most of the time! Love you. Hello my friend! I wish to say that this article is awesome, nice written and come with almost all important infos. of this blog; this blog consists of amazing and genuinely excellent information in favor of readers.